There are so many fitness trackers on the market that it’s become impossible to tell them apart. In order to help you maximize your workout efficiency, the Mio ALPHA 2 sets itself apart by focusing on important performance data rather than how many steps you take in a day. An accurate wrist-based heart rate monitor is built into the ALPHA to help track distance, calorie burn and pace. This wearable is rugged, sport proof and water resistant up to 100 ft. to endure all training conditions. 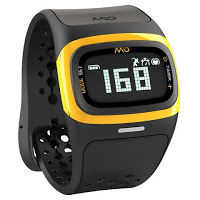 Mio’s Personal Activity Intelligence (PAI) ensures that your body gets enough exercise at the right intensity, ensuring you keep a top-notch health profile. I’ve tried so many wearable fitness trackers, but this one is really in a class by itself.